Government networks, critical infrastructure and data are under a constant state of attack. The nature of these threats evolve on a daily basis. Hacktivists, nation states and cyber criminals push people, processes and technologies that make up Government cyber defenses to their breaking points. -- Interpret and respond to trends in adversary capabilities and motivations. -- Integrate and apply cyber intelligence to reduce risk, cost and operational overhead. -- Improve readiness and response to minimize the impact of a breach. 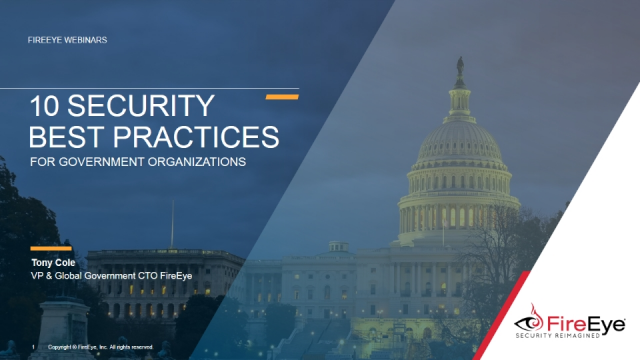 Learn how you can apply best practices in intelligence-led security into your defenses.